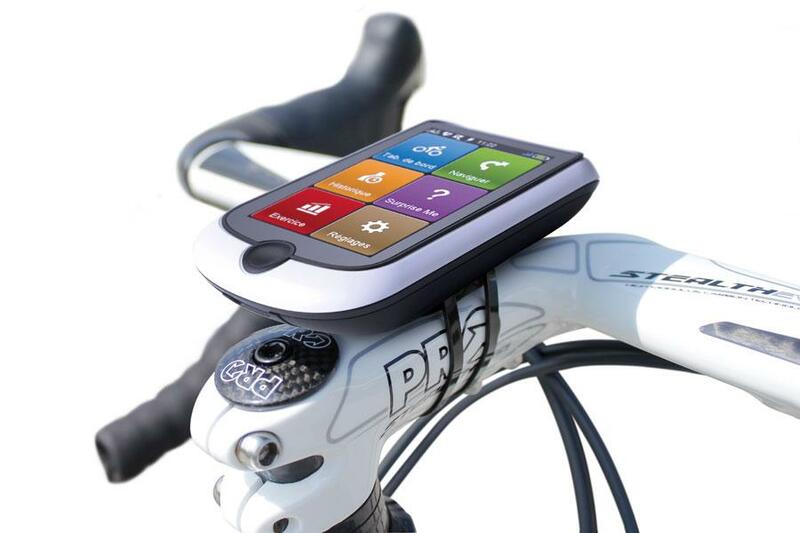 Cycling Navigation specialists Mio have extended their range to include their new 500 series, headlined by the Mio 505 HC cycling monitor. The new lightweight devices sit alongside their Cyclo 300 and 100 series, and feature Wi-Fi functionality. 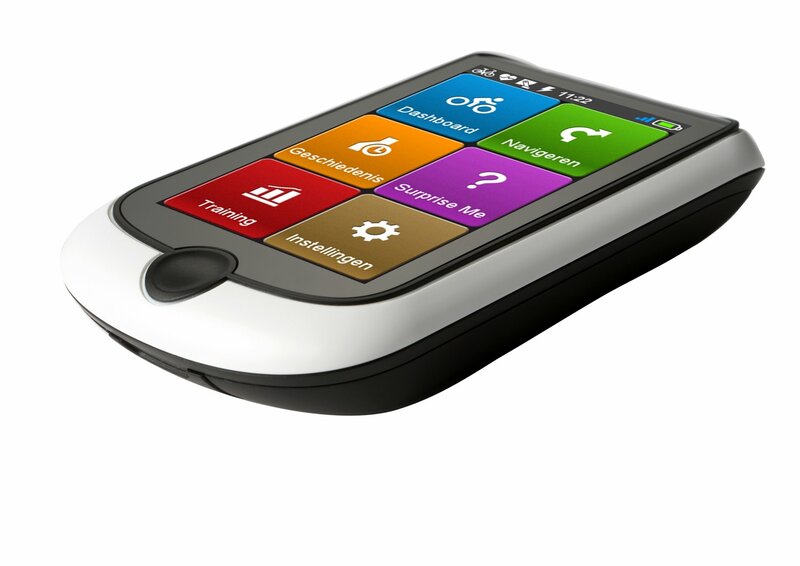 Below is a first hand review and hands on video of the Mio 505. We have been using the Mio Cyclo 505 HC for a number of weeks now and in all honestly, we have already developed something of a hate/love relationship with it. At BurnTech, we’re positive folk, so lets focus on the bits that we love first. The Mio ‘surprise me’ function: Surprise me is built into the Mio maps, which come pre-loaded on the 505 HC. You can be anywhere in the UK, and all you have to do is tell the Mio device how far you want to go or how long long you want to ride for. 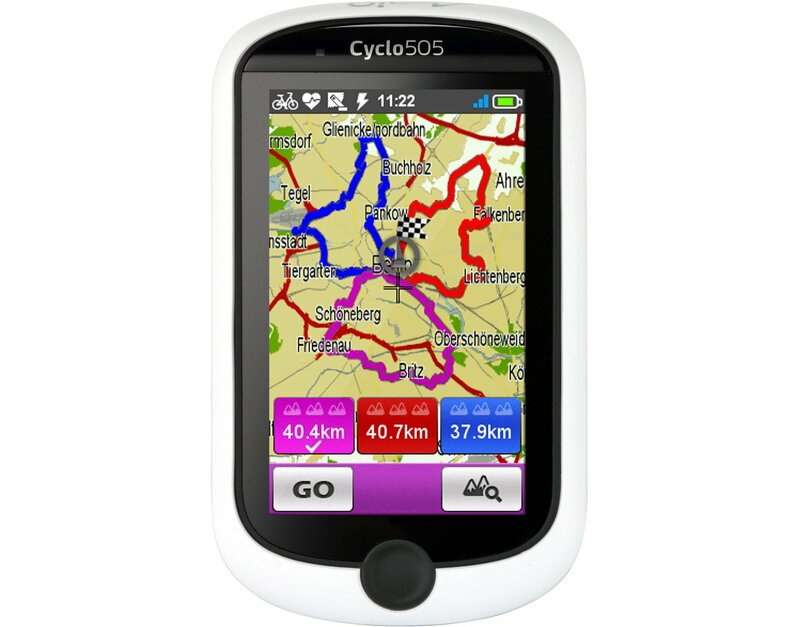 The Mio 505 will then calculate a route based on these parameters for you, providing a unique and different ride every time you use it. We loved the spontaneity that this delivered and were pleased that it was able to recommend some novel routes even around our home area – despite the fact that we though we had expired all of the new trails. Built in Wi-Fi, which doesn’t need your computer to be on: Syncing all of our different fitness technology devices can be something of a nightmare, especially when you need different devices (iPad’s, home computers, connected TVs etc) to be turned on in order to access the respective gadgets online account. The Mio 505 will connect with the Mio online account even whilst your computer is turned off, providing a really simple way to update your info. This really lowers the barriers to using the online service. Just ht the wi-fi sync button, and you’re good to go. Easy storing of new routes: Simple one button upload of a favorite route to your online account is a great way to ensure that you can re-find any route, whether its one you discovered yourself, or one that the Mio surprise me feature put you on to. A great way to quickly buildup a collection of good routes in your local area. A simple and intuitive dashboard: The 505 series has a really simple to navigate and clear to read nav panel, comprising of; navigate, dashboard, history, workout, surprise me and settings. These are self explanatory and a real doddle to use mid-ride. Generally, the dashboard is normally the key display whilst on the move, whereas the other sections set up the navigation or access previous workouts. Also, the other sections feature workout-based schedules and sessions with particular goals and specific locations. Good core-metrics during your ride: The average speed, active time and distance is displayed alongside GPS speed. The next column shows details about calories burnt, maximum speed, percentage grade and distance to the next turn. We feel the price is prohibitively high, compared to other models on the market. We would go as far as suggesting that this device is ridiculously overpriced but ultimately the sales figures will prove us right or wrong on this front. The cable tie fittings are also overpriced and sub-par quality. They were an issue when we came to install the product onto our cycle frame, and were an unfortunate and quite needless let down. 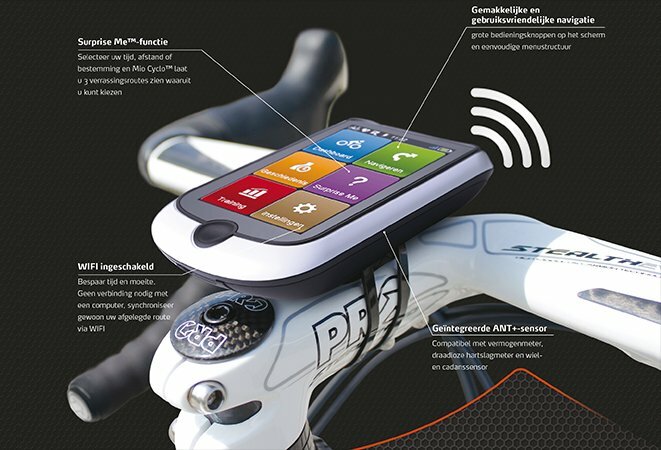 The cadence monitor, which as we’ve already stated is very important to this device, is inaccurate due to the poor fit. Its a mystery as to why Mio did not use a more standard bands and tape based fit. The device takes longer to boot than we have seen on rival products. Once booted, navigating by the address feature is a painful throwback to some of the earlier sat nav devices. The Mio 500 series does not feature Mac support, which is something to note for any Apple fans. 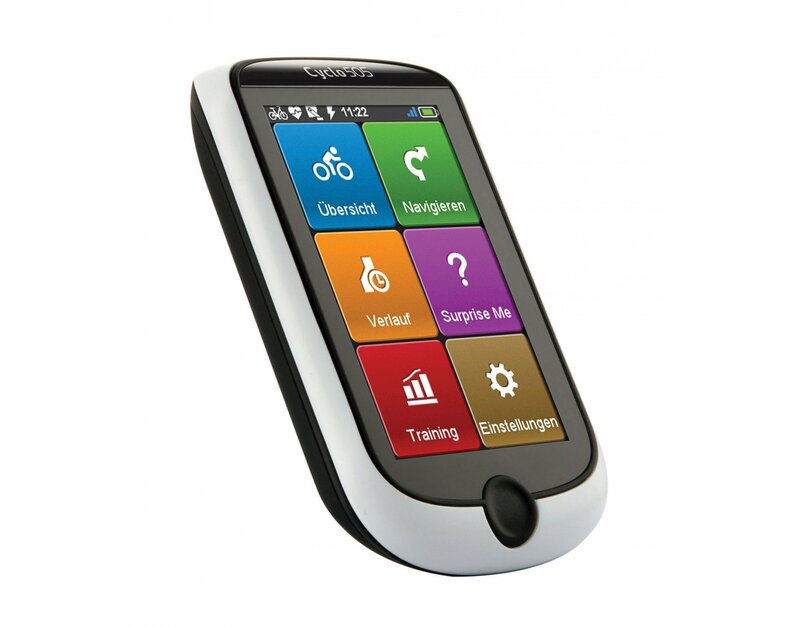 As you’ve probably gathered by now, the Mio Cyclo 505 HC has three vital components; The heart-rate monitor which is adjustable, the GPS unit and speed monitor and cadence. 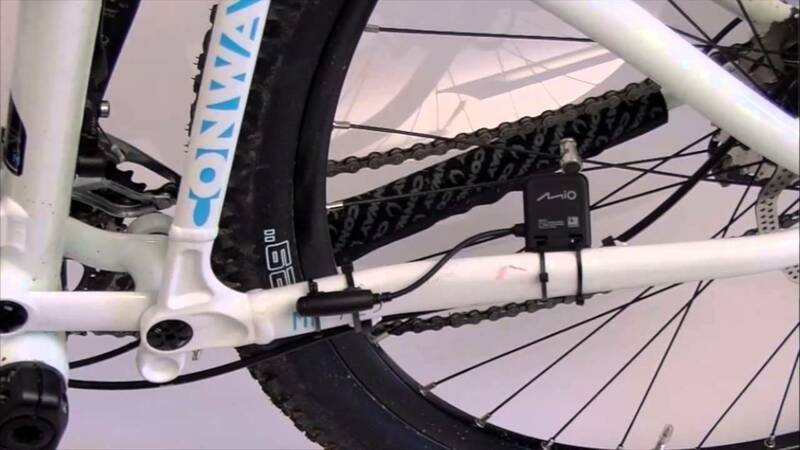 For the speed monitor, which is a key component for this device, it uses the rear bracket positions, spoke and pedal arm to acquire the RPM. The GPS system comprises of a twist lock system that has two interlocking rubber sections, which combine to deliver a tight fit. When you pop these rubber sections onto the handlebars, ensure that the device is a tight fit in order to avoid the device coming lose mid-ride (we found out the hard way, although this sounds very basic). 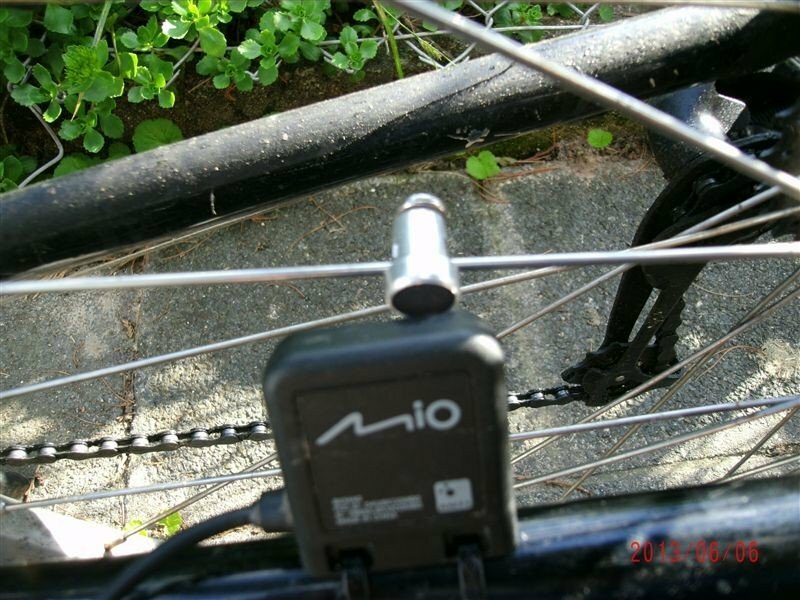 The Mio Cyclo leaves us feeling torn.In many ways, this is a device which positively oozes quality and innovative features, yet lets itself down with poor quality cable ties which then make a crucial component, the cadence monitor, inaccurate. Anybody who is looking to drop £470 on a piece of cycling kit is evidently somebody who takes their training and cycling very seriously, and such a person is unlikely to be able to overlook some of the deficiencies that we have pointed out. When you operate at this end of the market, we at Burntech.tv feel that you should be ticking all of the boxes. 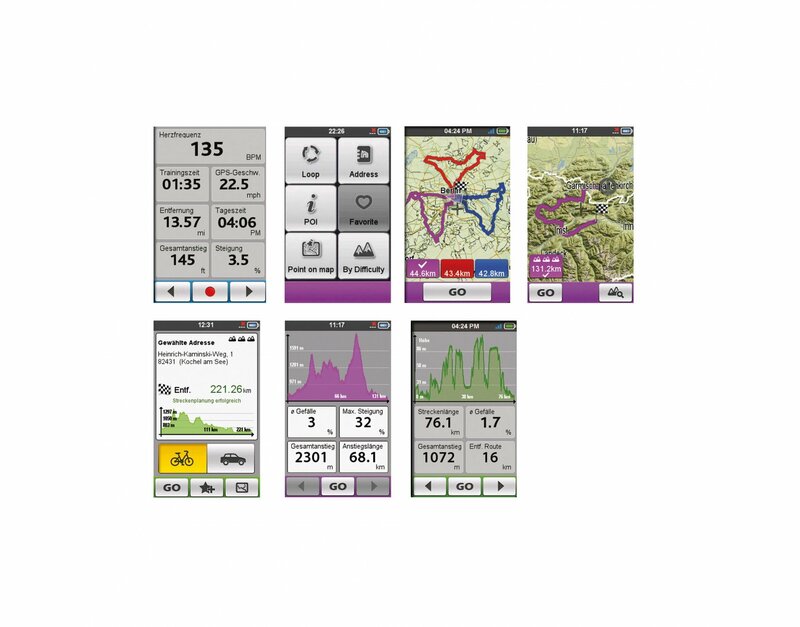 For us, the Mio 505 TC cycling monitor left a few too many boxes unticked. However, and this is where the love / hat aspect returns, the Mio 505 is fundamentally an excellent device. In many ways its hard to imagine anything more that you could ask for from a cycling computer, and i especially loved the surprise me feature. Anybody who has been left cycling the same area for any period of time will appreciate the ability to scalably find new routes. Real-time navigation across Europe is a real standout feature, and anybody who likes to take their bike onto the continent will definitely appreciate this. This has the potential to help you out in a tight spot, and as such, can be considered a genuine safety device on the unfamiliar roads and areas. All of this makes the final verdict quite hard. On the whole, we do find it hard to overlook the price and the fact that it comes with some deficiencies, although i could well imagine riders being able to get past this, and really taking to the Mio 505HC. Is there such a thing as marmite when it comes to cycling navigation units?